Obituary for Marlys Londgren | J. H. Lynner Co.
Marlys Londgren, of Clarkfield, died at her home Friday, February 2, 2018 at the age of 84. Funeral services will be held Saturday, February 10, 2018 at 11:00 AM at Clarkfield Lutheran Church. Rev. Stephen Olson will officiate and interment will be at Swede Home Lutheran Cemetery. Visitation will be held Friday, February 9, from 5-7:00 PM at the Clarkfield Lutheran Church with a prayer service at 6:30 PM and also for one hour before the services on Saturday. Arrangements are with Lynner Funeral Home in Clarkfield. 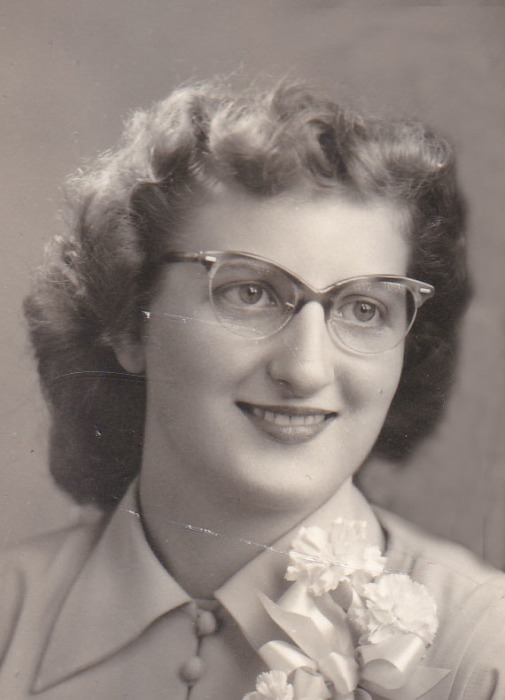 Marlys Levade (Oakland) Londgren was born in Swede Praire Township on February 26, 1933 to Lars and Maye (Anderson) Oakland. She attended rural school and Clarkfield High School graduating in 1951. She was united in marriage to John “Jack” Londgren on August 15, 1951 at her parents farmhouse. They had 5 children together: Dennis, David, Steven, Lori, and Greg. Marlys was a farm wife and homemaker. They made their home in Normania Township in Yellow Medicine County. 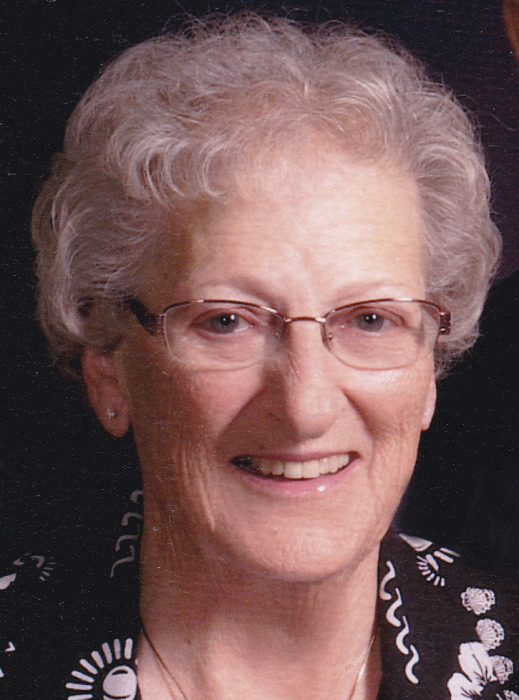 Marlys was an active member of Swede Home Lutheran Church and served as Sunday School superintendent for many years. She also served on the REC Operation Roundup for several years. She enjoyed playing cards, bowling, gardening and spending time at Maple Lake. She treasured her time spent with her children, grandchildren and great-grandchildren. Marlys dedicated her life to serving her family and others, doing it with a smile and laugh that would brighten any room. Her cooking and baking skills were second to none, and when asked what her secret was, she would say, “oh, a little of this and little of that, and a whole lot of love”. She was the best! She is survived by her children: Dennis (Carol) Londgren, Litchfield, MN, David (Karen) Londgren, Clarkfield, Steven (Julie) Londgren, Clarkfield, Lori (Ron) Risa, Clarkfield, Greg (Dawn) Londgren, Clarkfield; eleven grandchildren: Angie (Mark) Hankel, Amy (Allan) Nelson, Dustin (fiancée Molly Frendo) Londgren, Deena (Seth) Aus, Cody McCoy, Jay Londgren, Todd (Lori) Risa, Jeff (Brenda) Risa, Krystle (Dustin) Enninga, Sami Jo (Richard) Sorbo, Garrett (Mollie) Londgren; nineteen great-grandchildren: Carson, Tenley, Teagan, Hunter, Emmitt, Gunner, Merrick, Oakleigh, Jennifer (Travis), Jamie (Chris), Steven (Anna), Wyatt, Walker, Waylon, Alex, Kyler, Kelten, Kresley, and Colsten; seven great-great-grandchildren: Parker, Jada, Haley Jo, Avery, McKaylee, Paisley, and Maverick; a brother, Lars Oakland, Hector, MN; as well as other extended family.